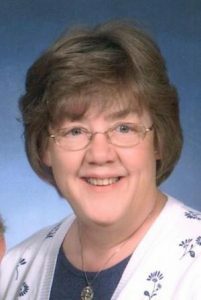 Reba Yvonne Indelicato, 61, of Glen Richey died Friday, Jan. 5, 2018 at Penn Highlands DuBois Hospital after a lengthy illness. Born Jan. 19, 1956 in Warren, Mich., she was the daughter of Lynn and Berniece (Knight) McDaniel. She was a licensed practical nurse (LPN) and had worked for Home Health and Home Nursing Care. She had also worked for several nursing homes including Christ the King Manor, Ridgeview Healthcare and Rehabilitation, Mountain Laurel Nursing and Rehabilitation and the Presbyterian Home in Philipsburg. She also drove school bus in the Clearfield Area School District. In her younger years, she had attended the First Freewill Baptist Church in Vernon, Ala.
On Jan. 14, 1983 in Alabama, she wed Anthony P. “Tony” Indelicato, who survives along with her father of Vernon, Ala.
She is also survived by two children, Joseph Indelicato and his wife, Serena Wang of El Paso, Texas and Sara Wenger of Curwensville and two step-sons, Anthony Indelicato Jr. and his wife, Monica and Michael Indelicato, both of Alabama. Also surviving are seven grandchildren, Jonathon, Anthony III, Alexandria, Joshua, Kendra, Andria and Hannah and three brothers and a sister, Ronald McDaniel and his wife, Carol, David McDaniel and his wife, Aletha, Michael McDaniel and his wife, Marsha and Diane Stephens and her husband, Larry, all of Alabama. A Mass of Christian Burial will be celebrated at 11 a.m. Wednesday at the St. Timothy Roman Catholic Church in Curwensville, with the Rev. Father L. Stephen Collins and Deacon Tony P. Indelicato co-officiating. Burial will be in the Oak Hill Cemetery in Curwensville. Friends will be received from 2 p.m. – 4 p.m. and from 6 p.m. – 8 p.m. Tuesday at the Chester C. Chidboy Funeral Home Inc. of Curwensville and again from 9:30 a.m. – 10:30 a.m. Wednesday when the procession will depart for the church. The family suggests contributions be made to the Good Samaritan Center 11 N. Front St., Clearfield, PA 16830.